When it comes time to purchase siding for your home in the Omaha, Nebraska, area, don’t settle for anything less than the best. Thankfully, the best is all we provide at Elite Exteriors. 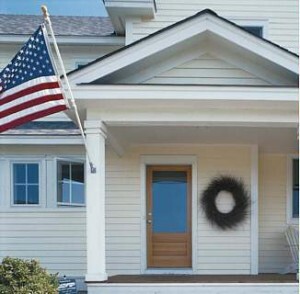 We began installing 28-foot seamless vinyl siding in 1995 – a unique concept at the time – and continue to offer top-notch products that deliver the ultimate in strength and style at factory-direct prices. Elite Exteriors has partnered with industry-leading manufacturer Mitten to offer premium vinyl seamless siding exclusively to our customers. This vinyl material isn’t the flimsy stuff you may find from other contractors in town. Instead, it’s exceptionally thick to maximize impact resistance, and expertly installed to ensure it stays secure in the roughest of weather conditions. Plus, our seamless siding is just that – seamless! This means your home’s exterior will be free of ugly splices, and will display a clean, sophisticated appearance for many years to come. Furthermore, Elite Exteriors offers the exceptional customer service you’d expect from a locally owned and operated company with decades of experience. We are certified by the Vinyl Siding Institute, and our friendly service and level of expertise has helped us earn and maintain an A+ rating with the Better Business Bureau. As our customer, you can rest easy knowing you’ve partnered with true professionals who are committed to earning your complete satisfaction. Contact Elite Exteriors today to schedule a free in-home consultation. We’ll gladly help you determine which of our premium residential siding products will best accommodate your home’s needs and your budget. We also have a spacious Omaha, NE, showroom, where you can view all our products in person.